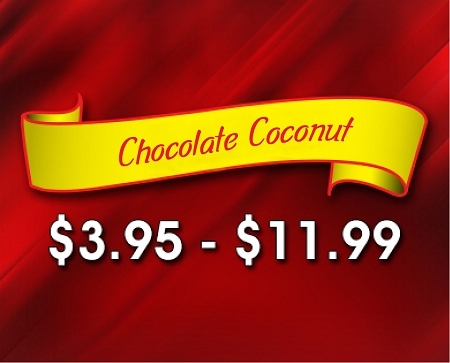 > (CHOC-COC) White Chocolate Coconut- Creamy White Chocolate combined with Coconut. A tropical treat. Creamy White Chocolate combined with Coconut. A tropical treat.